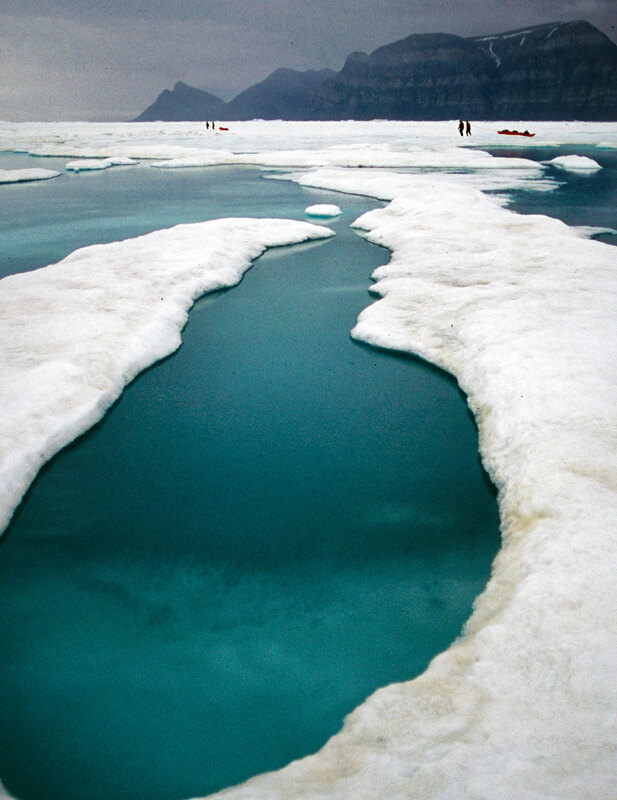 The Arctic Ocean is unique because of its floating raft of oceanic ice. Until recent decades the vastness of its ice cover outsized the continent of South America. While much attention has focused on Arctic glaciers and the rise of sea levels, sea ice remains the predominant feature of the Northern polar region. The distinctions between glacial ice and sea ice are important to understand. As glacial ice melts, sea levels rise; the rise is slow and it is incremental. But when sea ice melts, the sea does not rise. Instead, its surface transforms from white to dark. That change in color results in immediate and dramatic warming of both ocean and overlying atmosphere. 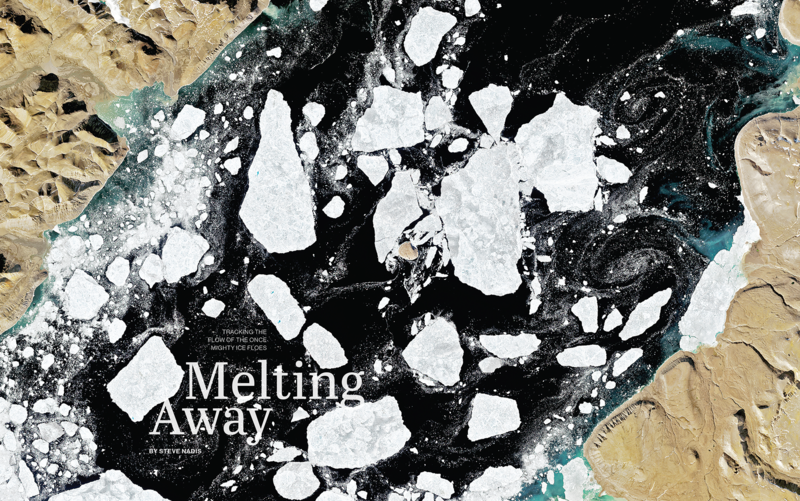 The Arctic Ocean is changing, its cover of sea ice rapidly diminishing. And as this polar ocean’s frozen cover declines, so also its whiteness, or ‘albedo’, declines. Being white, ice floes reflect almost all incoming sunlight back to space. But as white floes melt, shrink and disappear, solar energy gets absorbed into the dark ocean left behind. 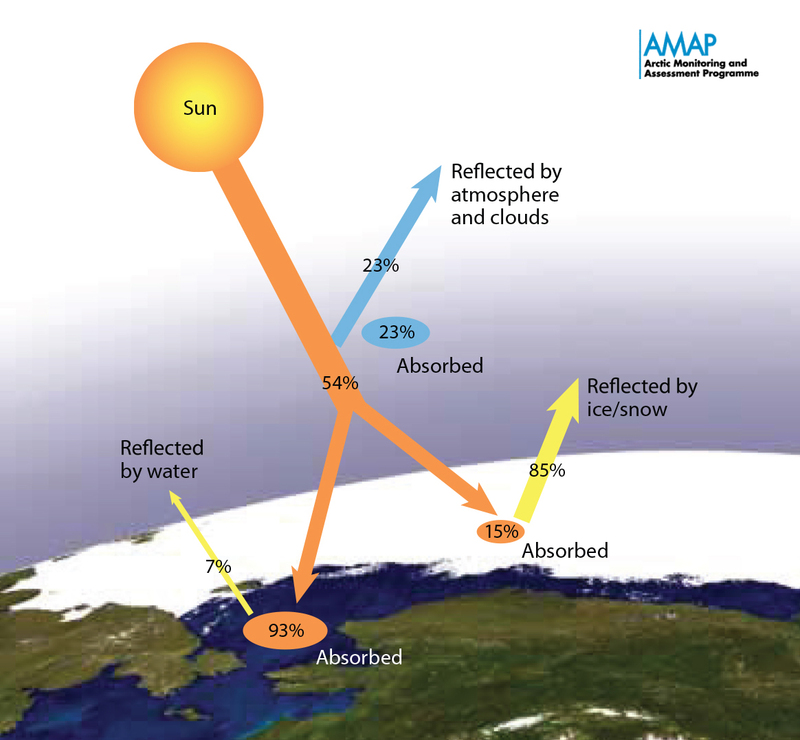 ‘Sea ice albedo feedback’ is a climatologist’s reference to the relationship between the decreased reflecting power of open seas and the increased solar absorption that swiftly leads to further melting and warming. Analyses of satellite records show that in the past forty years the Arctic Ocean has lost three-quarters of its sea ice volume. No other environment on earth has lost so much mass this fast. The significance of this loss of frozen ocean is profound, especially in context of the Arctic’s seasonal albedo. As polar seas darken, the Arctic region as a whole is shifting from being a vital component of the cooling system of our planet, to being part of its heating system. The abruptness of this shift may well be unprecedented: in the scale of geological time, the Arctic Ocean’s changeover from cooling to heating is taking place in the flick of a light switch. Experts agree that on a summer day in the not distant future, the last ice floes will leave the Arctic Ocean. This is big. Why have we heard so little about it?